Homes with an attached garage represent a valuable and often underused space that might be better served if it was renovated and repurposed. Sure, sticking your cars in the garage is the most logical reason for using one, but if we're honest with ourselves that space is typically used for storage. You can also convert your garage into living space, by installing quality flooring and dry wall. Read on and we’ll take a look at some of the ways your garage can be turn into an extension of the rest of your home. 1. Convert it into an apartment. 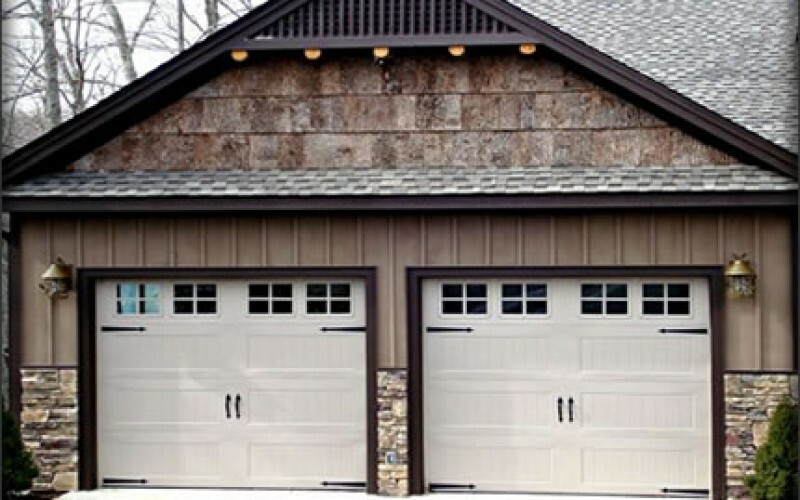 If your garage already has a separate side entrance, you can easily convert it into an apartment. Check with your local zoning laws to see if this is possible. When considering a conversion, you can remove the garage doors or leave them in place, removing the tracking and installing insulation. Seal the edge with caulk. You will also need to run plumbing and electricity from the rest of the house to your garage. Turn that garage closet into a bathroom. Run lines to connect a galley kitchen, install dry wall, put down flooring and, if necessary, put in a drop down ceiling. 2. Turn it into an entertainment room. With the same idea as converting the garage into an apartment, you can just as easily turn it into an entertainment room. This process is simpler and less costly than the apartment conversion. 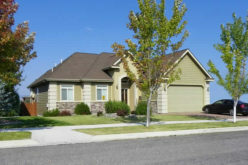 You’ll still need to seal the garage door, install drywall and lay down flooring. A new ceiling is optional. Ensure that you have a sufficient electrical connection for your television and audio system. Install a work counter and place a compact refrigerator underneath for your visitors. 3. Make it a workout room. 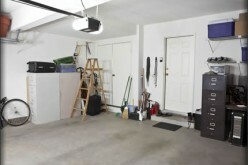 Very little must be done to a garage that is used as a work out room. In fact, you can leave the garage doors in place and simply kill the switch to open it. Install drywall and insulation, and lay down flooring. The flooring should be strong enough to withstand a pummeling and the heavy workout equipment that can take its toll on the surface. Cork or rubber flooring won’t win you design points, but it will protect in the event of a fall. Besides, your greatest investment here in on your workout equipment, not your room’s aesthetics. 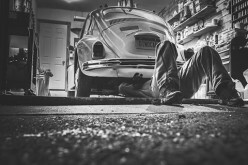 If you work from home, the garage is the ideal place for running your business. 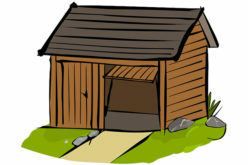 Big businesses such as Google, Apple, Disney and Mattel each got started in a garage. Your business aspirations may be more humble, but your need for a dedicated work area is still the same. 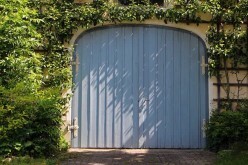 Convert your garage to suit your needs now and down the road. If you are short on cash, do the basics such as laying down flooring, installing dry wall and deactivating your automatic garage door. Use a space heater for the winter and a window air-conditioner for the summer. If your garage lacks a window, a portable air conditioner can do the trick. Make sure that your electrical connection is sufficient for all your equipment including your computer, printer, floor lighting and more. Your electrician may need to update the switchbox. 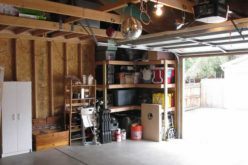 A basic garage renovation can cost you a few hundred dollars if you buy the materials and do the work yourself. If you have an eye toward increasing your home’s value, the work with a contractor to convert your garage into a full living space that is an extension of your home. Matt Keegan is a freelance writer and editor as well as publisher of "Auto Trends Magazine", an online publication. Matt covers campus, consumer, business and financial topics on various websites and weblogs, and has been published in the "Houston Chronicle", "Sam's Club Magazine" and "Wisconsin Golfer". 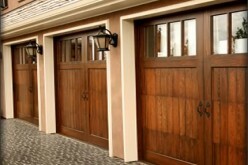 6 Ways To Stop The Burglars To Break-In Through The Garage Door!